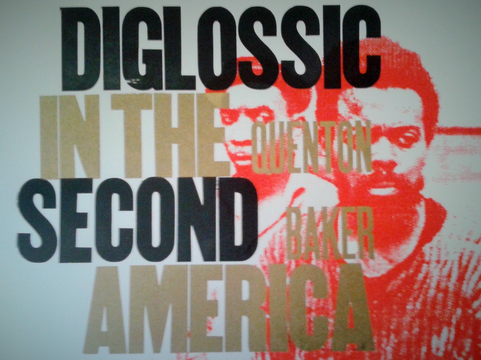 Quenton Baker‘s (Poetry, S’12) first chapbook, Diglossic in the Second America, is now available from Punch Press. You can hear him read two of the poems in recent radio segment with Washington State poet laureate Elizabeth Austen. Sheila Boneham (Creative Nonfiction/Cross Genre, S’13) has been honored with a 2015-16 fellowship from the North Carolina Arts Council to support creation of new work. In addition, Sheila has been granted a two-week residency at the Weymouth Center for the Arts & Humanities in Southern Pines, NC in December. Just before the fellowship news arrived, Sheila had made the difficult decision to decline an offer for two more books in her mystery series to devote time to nonfiction, and she feels well rewarded. They say “follow the money,” but sometimes you have to follow your heart. Karen Bovenmyer‘s (Popular Fiction, S’13) haunted house flash “So Normal and Unwritten” (reprint) is forthcoming in Bosley Gravel’s Cavalcade of Terror. 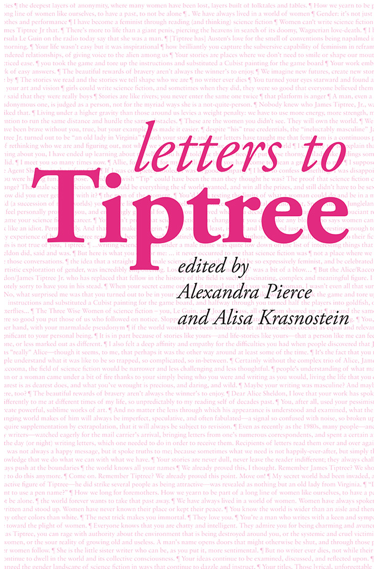 Sandra McDonald (Popular Fiction, W’05) is very happy to see her creative non-fiction essay “Deception in Six Parts” published in the new collection Letters to Tiptree, celebrating the life of famed science fiction writer James Tiptree Jr. (a.k.a. former military officer Alice B. Sheldon). 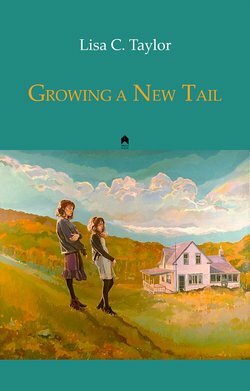 Four of Sandra’s short stories since her graduation from Stonecoast have received Tiptree Award Honor List mentions. 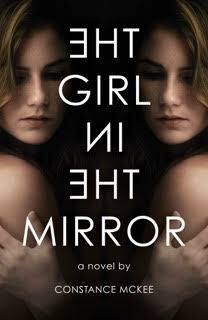 Constance McKee (Fiction, W’13) is pleased to announce that on September 3 her debut novel, The Girl in the Mirror, will be released by Deeds Publishing. Special thanks to Suzanne Strempek Shea, Boman Desai, and Ted Deppe for the tutelage that led to the completion of this book. Robert Ortiz (Fiction/Creative Nonfiction, S’14) is happy to announce his new job as an English Affiliate Instructor at Metropolitan State University of Denver. 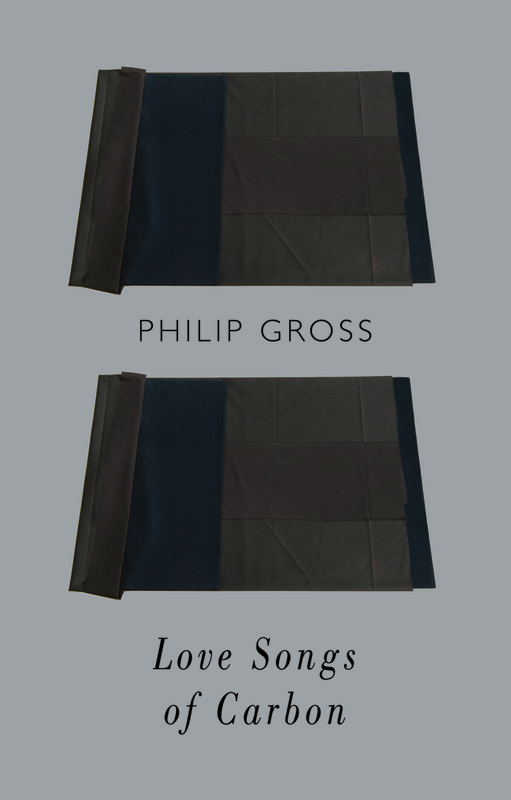 Janet Passehl‘s (Poetry, S’10) ironed cloth sculpture Sleep is featured on the cover of U.K. poet Philip Gross’s latest poetry collection Love Songs of Carbon, just released by Bloodaxe Books. Love Songs of Carbon closes with the poem “Thirteen Ways to Fold the Darkness,” which was inspired by Sleep. Sleep is in the collection of the Blanton Museum of Art at the University of Texas, Austin, gift of Laurence Miller, 2015. “Manhandled,” by Tamie Parker Song (Creative Nonfiction, S’12), will be published in the September 2015 issue of New Ohio Review. It is an essay about sexual assault in the Alaskan wilderness and is part of her memoir-in-progress. Bruce Pratt (Fiction, S’04) has been asked to contribute an essay on Bill Gaston’s The Good Body for a critical anthology on Hockey Literature to be edited by noted Canadian writers and scholars, Jamie Dopp and Angie Abdou. Michaela Roessner (Popular Fiction, S’08) has a short story, “Flattened,” included in Western Weird, this year’s Manifest West anthology. The anthology will be out at the end of August. The art catalog for Viktor Koen’s photomontage bestiary is now published and includes Roessner’s ekphrastic accompaniment, “Mormo,” along with the works of other contributing writers. 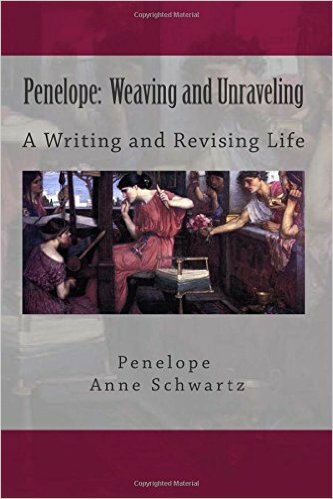 Penelope Anne Schwartz (f/k/a Penelope Schwartz Robinson; Creative Nonfiction, S’04) has recently published two new books of nonfiction: Penelope: Weaving and Unraveling, a Writing and Revising Life, a memoir of her writing life from 1970-2014; and When Lilacs Last, the McLaughlin Garden, an historical biography of Bernard McLaughlin, the “Dean of Maine Gardeners.” Her essay collection Slippery Men was chosen by Katha Pollitt for the Stonecoast Book Prize and published by New Rivers Press in 2009. Schwartz lives in Arcata, California, and teaches in the English Department of the College of the Redwoods in Eureka. Kevin St. Jarre (Popular Fiction, S’10) will be reading with poet Carmen Mandley and current Stonecoast student Elisha Webster Emerson at LFK, 188A State St, Portland, Maine on September 7, 2015. Drinks at 8:00 p.m., readings start at 9:00 p.m.
Bonnie Jo Stufflebeam‘s (Popular Fiction, S’13) horror story—and her first Stonecoast-workshopped story!—“The Devil’s Hands” appeared in the most recent issue of Black Static. Her Little Mermaid retelling “Sisters” appeared in Scheherazade’s Bequest. Her flash fiction “No Eyes” appeared in Psychopomp. And another flash fiction,”Mrs. Stiltskin,” was reprinted in audio version in Podcastle. Marco Wilkinson‘s (Creative Nonfiction, S’13) lyric memoir, Madder, which was his Stonecoast thesis, was a semi-finalist for the Cleveland State University 2015 Essay Collection Prize. In late June, Anne Witty (Poetry, W’12) “published” a work that could best be described as a 4,400-square-foot three-dimensional book. The occasion was the grand opening of a new permanent exhibition for Mystic Seaport in Mystic, Connecticut. Entitled “Voyaging in the Wake of the Whalers,” the exhibit looks at the impact of the whaling industry on American history and culture. It features objects, still and moving images, short explanatory texts, excerpts from literature, poetry (including an excerpt from Tony Barnstone’s “Parable in Praise of Violence”), song, underwater sound, computer interactives, and much more. The project crowns Mystic Seaport’s many years’ work to restore and sail the last remaining American whaleship, the Charles W. Morgan (built in 1841), with an in-depth look at whaling’s continued effects on America. Creating museum exhibits, like creating books, requires many different skills. Anne’s freelance work as Guest Curator included writing, research, guiding object and image selection, and consultation in other areas (including an appearance in the exhibit’s orientation film). Other team members contributed 3-D design, graphics design, computer interactives, song and sound recordings, special expertise on whales and American whaling history, design and construction coordination, and many other pieces of the three-dimensional puzzle. If any Stonecoasters are interested in learning more about script-writing for exhibits and its kinship with screenwriting and other forms of non-fiction and fiction, please get in touch with Anne at witty[at]gwi.net. Elizabeth Hand (Fiction, Popular Fiction) has sold the fourth Cass Neary novel, The Book of Lamps and Banners, to St. Martin’s Press/Macmillan, with audio rights to the third and fourth novels going to Blackstone Audio. All four books have also been sold in Sweden. 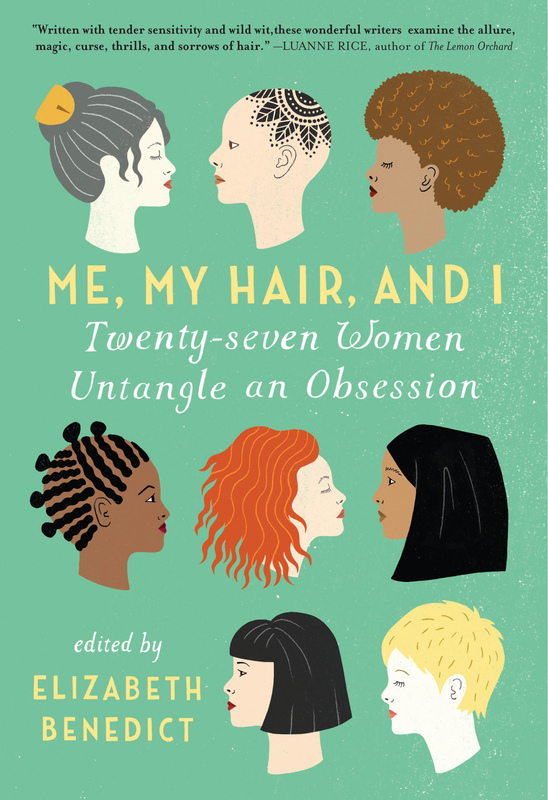 Liz’s most recent reviews include Austin Grossman’s Crooked, and Ann and Jeff Vandermeer’s Sisters of the Revolution, both for The Los Angeles Times. Nancy Holder (Popular Fiction) is proud to announce that she has helped Rupert Giles, who served as the Watcher of Vampire Slayer Buffy Summers, take his newest book to publication. 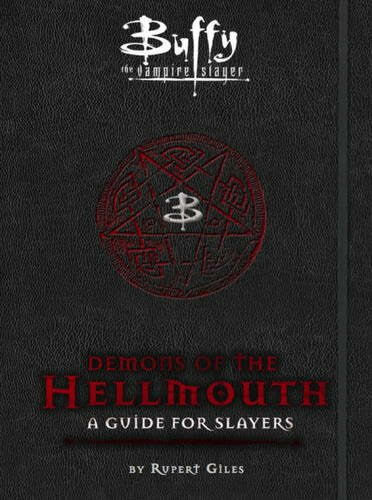 Demons of the Hellmouth: A Guide for Slayers (Titan Books) will debut September 29. Giles’s dear friend, the actor Anthony Stewart Head, wrote the introduction. The latest installment of Jim Kelly’s (Popular Fiction) column in Asimov’s Science Fiction Magazine “Welcome to Asimov’s” profiles ten new writers who have recently made their first sale to Asimov’s. His oft-reprinted story “Think Like A Dinosaur” has been selected to be translated for a new and as yet unnamed anthology that will introduce contemporary North American science fiction to the readers in Cuba. Jim plans to visit Cuba in the spring of 2016. 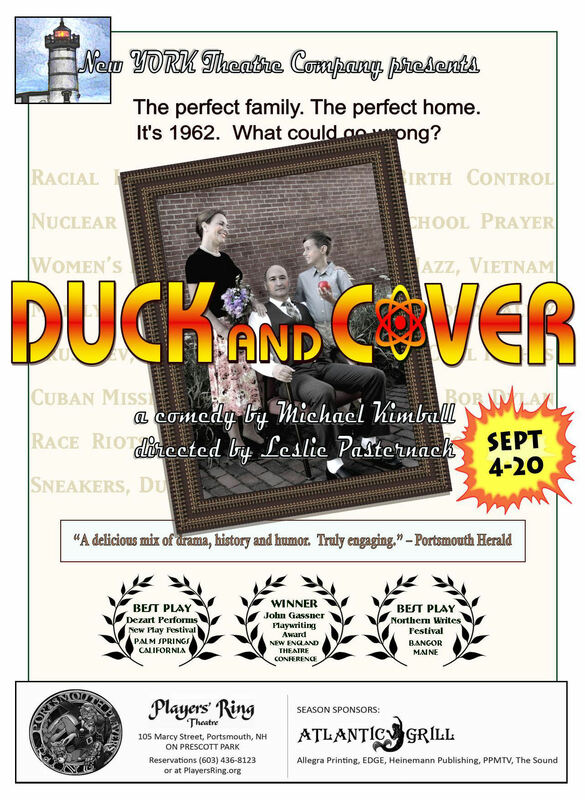 Mike Kimball‘s (Popular Fiction, Scriptwriting) play Duck and Cover has been nominated for 8 “Desert Star Awards” in Palm Springs, CA, including “Outstanding Production: Comedy.” For those in the northeast, Duck and Cover will open September 4 at The Players’ Ring Theatre (Portsmouth, NH) and run through Sept 20th. Duck and Cover is about a sheltered American family in 1962 suburbia trying to hold on to its innocence in the era of civil rights riots, birth control pills, rock ‘n’ roll, and an unexpected visit from closeted jazz trumpeter Uncle Bunny and his African-American band-mate and partner on the night that the Cuban Missile Crisis begins. Duck and Cover received the 2014 John Gassner Memorial Playwriting Award (New England Theatre Conference) and was also awarded “Best Play” at the Northern Writes Festival (Penobscot Theatre Co, Bangor, Maine) and “Audience Favorite” at the Dezart Performs Festival of New Plays (Palm Springs, CA). The Players’ Ring Theatre has intimate, three-quarter-round seating for 70 (general admission), so reservations are encouraged.